Rendering of the new Goddard School slated for the former IGA Supermarket at 1290 Stratfield Road. Fairfield’s long-defunct Stratfield Market is becoming a new school. The Goddard School, a private preschool, plans to convert the 9,700-square-foot, free-standing building at 1290 Stratfield Road, which has been empty since 2006, into its newest location, with a target opening of Sept. 1. The school, which provides a play-based curriculum for children 6 weeks to 6 years old, signed a 15-year lease with Summit Development of Southport, which recently acquired the property. Goddard has 460 schools in 36 states, with a total enrollment of 65,000 children. Founded in 1988, the school is based in King of Prussia, Pa. There are 10 locations already in Connecticut, including Danbury, Brookfield, Monroe, Westport and Wilton. Felix Charney, principal of Summit Development, said the company plans to design the school in collaboration with the non-profit Stratfield Village Association to ensure it meshes with their Four Corners Project. Four Corners focuses on streetscape and pedestrian improvements to the intersection of Fairfield Woods Road and Stratfield Road. The SVA started two years ago, in large part to decide the fate of the Stratfield Market which had been in the neighborhood for 50 years and vacant for more than a decade. The Association recently received a $650,000 grant from the State of Connecticut for the Four Corners Project. For more than 30 years, Charney has been in business with Summit Development dealing with a wide range of properties, according to Geoff Thompson, a spokesperson for the Fairfield-based firm. “Most developers stick with a certain (type of property) — either you do really small stuff or really big stuff. Felix has always done all sizes of things,” Thompson said. Summit has worked with an array of properties throughout Connecticut, New York and Florida, specializing in distressed commercial and residential real estate projects. The firm now owns and manages buildings totaling more than seven million square feet. “This is not at all out of character with the kind of properties (Charney) is interested in,” Thompson said. Summit is the latest in a list of developers who’ve owned the former grocery store in the past 12 years. Following its closure in 2006, the space was purchased by Samuel Lotstein Realty which secured a 25-year lease with Walgreens for the space. 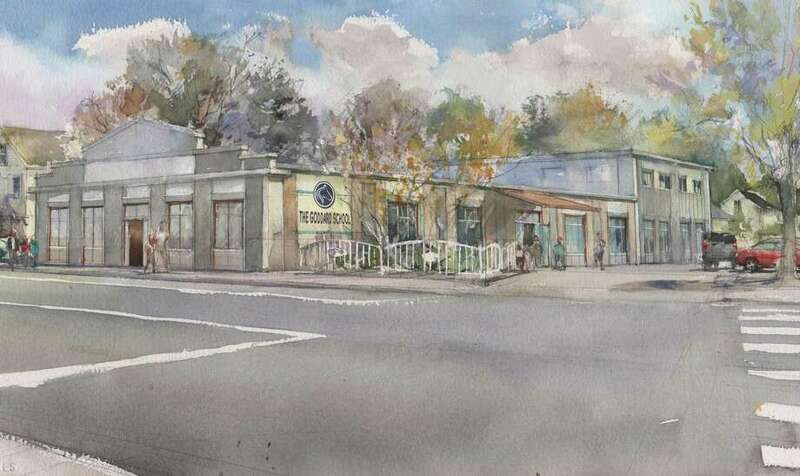 The proposed pharmacy sparked controversy among residents who successfully defeated the plan and got a zoning change adopted that prevents chain stores from opening in designated neighborhood districts. The protracted legal battle began in 2006 and ended in 2011. “There are no chain stores beyond a Mobile Station and a People’s Bank, and we didn’t want to have a large big box national chain retailer drug store sitting in the middle of our village,” McCusker said. Though it handed residents their victory over Walgreens, the amendment created its own challenge in trying to meet the demands of residents who still wanted a market. “The fact is, that when the market was here, it did very well for itself,” he said, adding that 50 percent of the market’s revenue came from Easton and Redding residents who preferred to do their shopping at the store rather than going to Black Rock Turnpike stores. Greenwich-based developers Urstadt-Biddle Group Inc. purchased the parcel in March 2017 for $3 million with plans to open another market, but the plan was abandoned despite a deal with Walgreen’s that included a lease termination in exchange for a cash payment. The space switched hands yet again months later with local developer Michael Moorin acquiring the site in August 2017 with plans to clean the site and find a new tenant, to no avail. The long-awaited leasing of the supermarket space is a good sign for the neighborhood and the town, according to Fairfield officials. Opening the new Goddard School in the Stratfield neighborhood was paved, in large part, to a 2013 zoning change. At the time, Child’s World Academy wanted to fill the space and the Planning and Zoning commission altered zoning for the space to allow for the business. The daycare center abandoned its plans in 2014 when McCusker said Lotstein was unwilling to pay for remediation of asbestos and PCBs in the building. While the addition of Goddard to the neighborhood will fill the long-standing void, it also isn’t what residents initially wanted. An SVA-conducted survey found that roughly 80 percent still wanted a neighborhood market, McCusker said.